Harbortouch POS Elite combines state-of-the-art software with top-of-the-line hardware to deliver a high quality POS system that is unmatched in both reliability and usability. Take advantage of streamlined operations. Manage multiple operations through your Harbortouch POS system: accept cash, checks, credit and debit, place orders, access reports, track inventory, and manage employees with the built-in time clock. Get a top level view of your business with robust reporting. Utilize countless time & money saving features. Increase operational efficiency, minimize ordering errors and reduce shrinkage. More accurate employee time tracking reduces payroll while Harbortouch's reporting capabilities help you decrease accounting and bookkeeping expenses. Benefit from advanced software combined with top-of-the-line hardware. 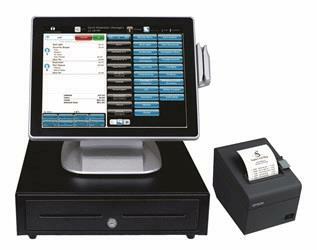 State-of-the-art POS software provides all the features and functionality needed to support your business while high-end hardware provides the reliability you need. Want to learn more? Download the brochure now!